INSHORE: Catch and release snook fishing will be the main game in town this weekend on the inshore side of things. The Spillways and bridges have both been producing a good number of snook. Hogy pro paddletails and SpoolTeks have been hot lure choices for the snook, as have flair hawk style jigs. 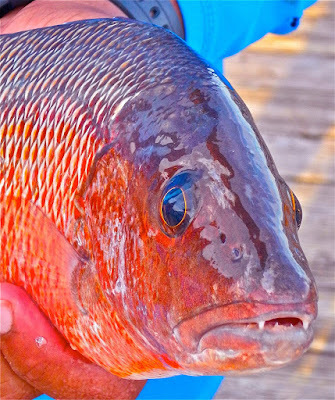 The mangrove snapper action inshore continues to improve on a weekly basis. Sandperch action has been good in the ICW using fresh cut shrimp. Large amounts of freshwater have other inshore action on the slowside. SURF/PIER: The Juno Beach Pier has been pretty hot as of late. Decent number of Kingfish have been around each morning and again late in the afternoon. 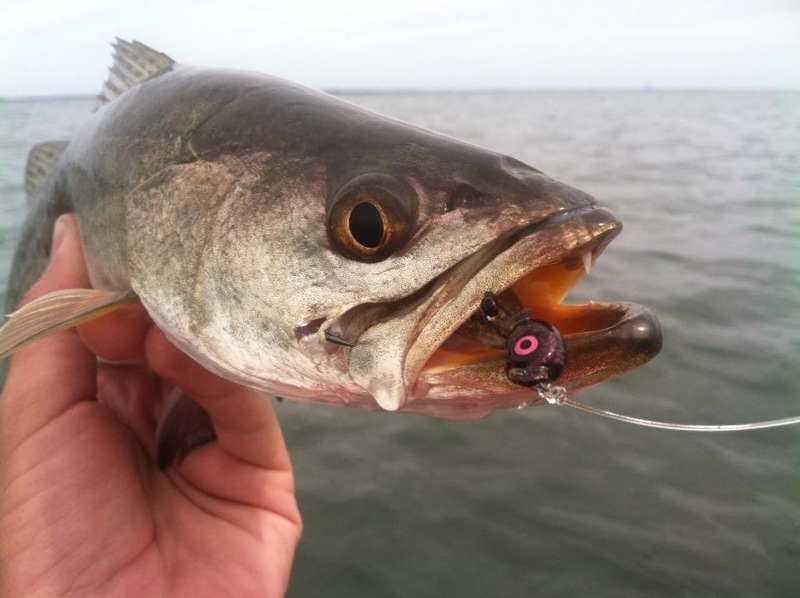 Rapala X-Raps and Yo-Zuri Longcast Minnows have been good lure choices for the kingfish. Snook action continues to improve almost daily at the pier. 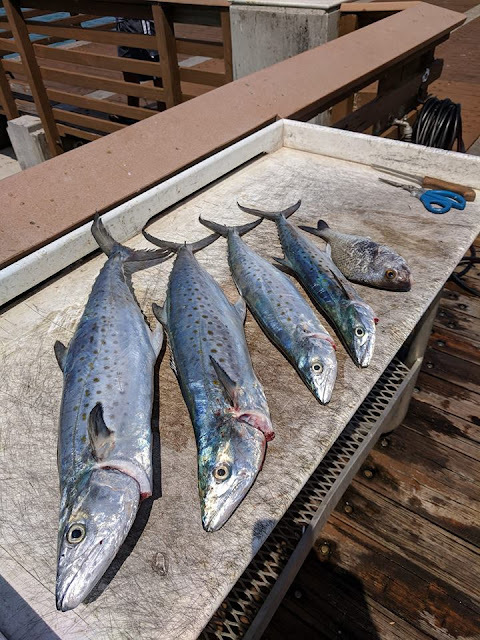 Fair scattering of jacks and spanish mackerel around as well to keep things interesting. 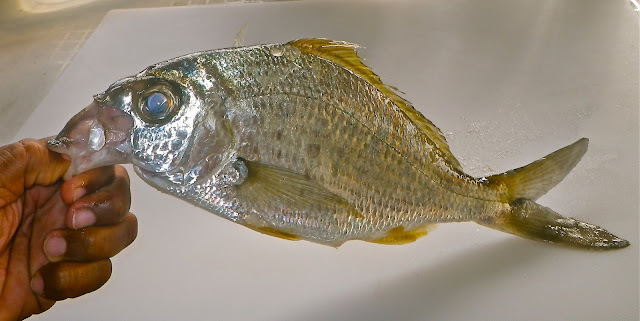 Still a handful of pompano reports trickling in. Sandfleas and clams remain the bait of choice for the late season pompano. Croaker, whiting, and sandperch are biting small pieces of cut shrimp good in the first trough. Summer has arrived, and you can bet on hot afternoons and lots of great fishing action around the Treasure Coast during June. The mornings will be calm, and it is certainly to your benefit to get out early to beat the afternoon heat. Being on the water at first light is worth the effort to watch the sun rise. Expect a chance of afternoon thunderstorms each day…we can always use some rain around the area this time of year! Watch the weather each afternoon out there. It’s a fantastic month to fish. You should be able to find plenty of redfish around the shallows. The population this year has been outstanding, and they have been growing all spring. 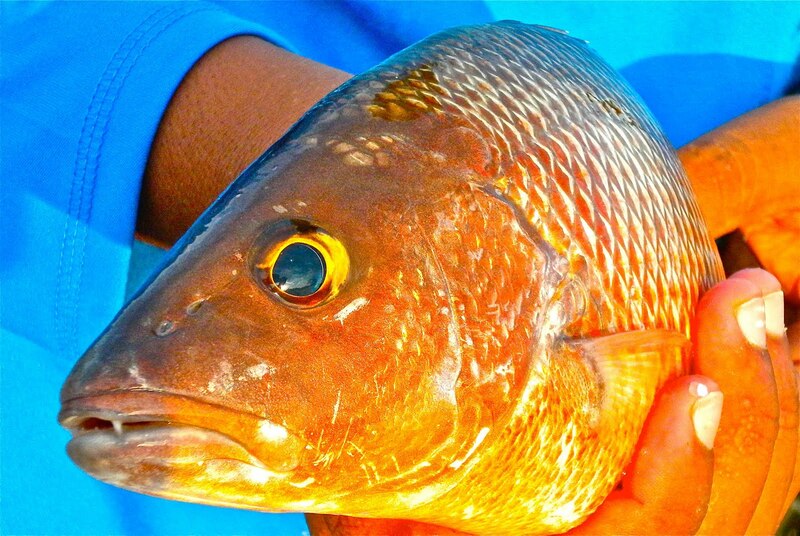 Redfish schools will be feeding on the flats, so be on the lookout for them. Most will be slot size to just over the slot. I love using a DOA shrimp or CAL paddle tails while fishing for reds. Try along the mangroves as well. Lots of fish will move under the mangroves as the sun heats up for the day. Trout will be on the grassy flats and feeding on the same food out there. Move out to three to five feet of water as the day heats up to continue your action. A Deadly Combo can provide inexperienced anglers with lots of fun learning to fish artificials. Don’t forget to fish the docks around the river. Lots of big fish will be hanging around many of the docks along the Indian River. Live bait, TerrorEyz and DOA shrimp can find some exciting action in June. Harbor Branch, Queens Cove and Bear Point will all be hot spots for action all summer. INSHORE: Good snook fishing this week at the Spillways thanks to the relentless rain. DOA TerrorEyz and Hogy Paddletails have been hot lure choices at the Spillway. The snook are also moving around area bridges at night in pretty good numbers as well. Flair Hawks and bigger swimbaits remain the top lure choices for the snook right now. Look for outgoing tide to produce the best action on the snook. Still some big jacks cruising around in the ICW, along with a stray tarpon or two. Mangrove snapper action has slowly started to improve inshore. Small live pilchards and live shrimp are top bait choices for the snapper right now. SURF/PIER: Snook fishing remains pretty good around the Juno Beach Pier and both Jupiter and Palm Beach Inlets. Last weekend of the season to invite one home for dinner. The snook are biting best early in the morning and late in the afternoon. Still a few pompano hanging around for those putting the time in. Croaker and whiting are biting in the first trough. Some spanish mackerel have been hanging around Jupiter Inlet. The Juno Beach Pier has been seeing some big jacks, bonita, and a few kingfish. Despite the “moist” conditions lately, the fishing for snook remains great in the St. Lucie and Indian Rivers. Still being caught on pilchards around the bridge and dock pilings, they are starting to make their way towards the inlets to spawn. 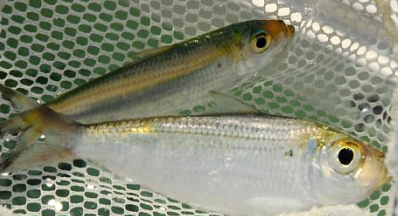 If looking for pilchards, they have mostly moved offshore and are no longer easy pickings in the rivers. Tarpon have been lurking around the bridges and a few along the beaches lately. Late night fishing with crabs has been producing good results. In the Lake Worth Inlet there have some tarpon around and they are being hooked using smaller baits. 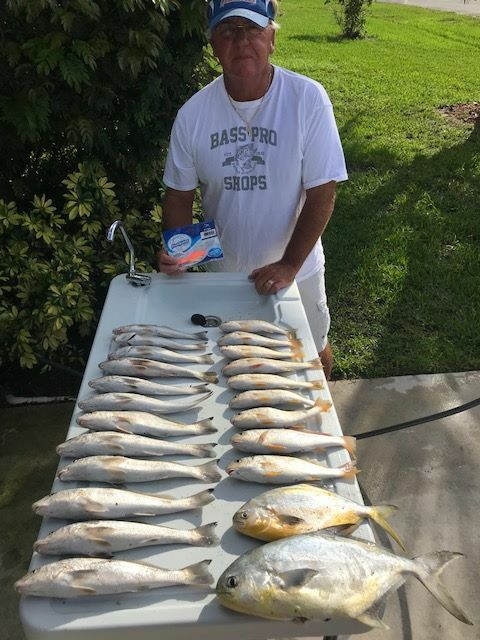 Lantana Bridge anglers have reported catching croakers, sand perch, small snapper, jack crevalle and moonfish using fresh cut shrimp and small jigs. Mullet are also being caught around the bridge for bait. 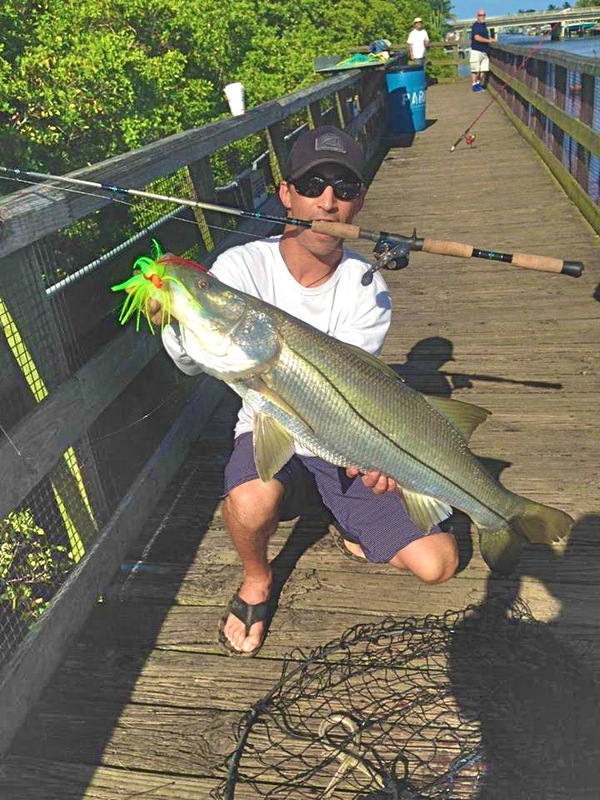 There have been reports of good snook action around the Boynton and Lake Worth Spillways. Live Target and Red Tail Hawk lures are working best. 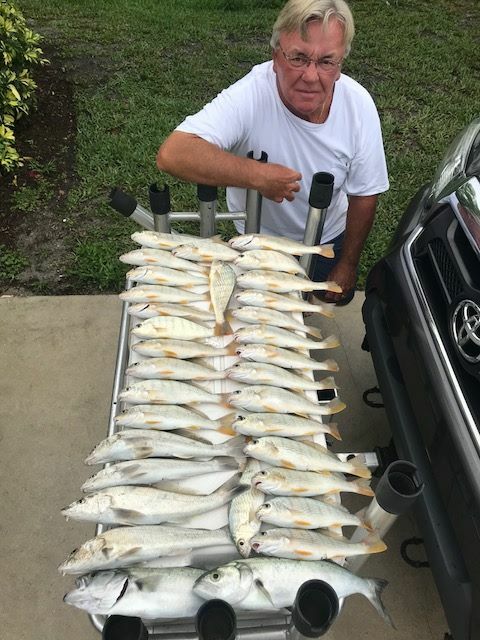 Using live shad around the various spillways in the canals, has been producing a good bite on clown knifefish, peacock bass and largemouth bass up to 8 pounds as well as a variety of catfish and gar up to 15 pounds. Look for flowing water from drain pipes or adjoining canals for productive freshwater fishing using jigs and top water lures. The bass bite was incredible for The Nik Kayler Benefit Tournament https://www.nikkaylertournament.com/ last weekend. Featuring over 100 boats, 24 boats netted 20 pounds or more and the winning boat took in 38.5 pounds. The Monkey Box, Harney Pond and Tin House Cove areas were hot spots and surface baits including poppin’ frogs and Zara Spooks worked well. With all the rain recently anglers working areas with moving water have been doing well using chrome blue Rat-L-Trap baits. 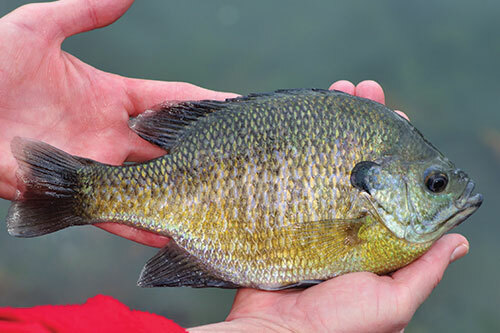 The bluegill bite is still good in the Kissimmee River, Taylor Creek and the J&S Canal areas. Using live crickets many anglers are reporting catching their limits. Even though it sounds like a bit of a broken record, it’s a great song! The snook are still biting in the Indian and St. Lucie Rivers. They are still being caught on pilchards with the best spots being around the docks and bridge pilings. There are still trout around as well, but they are mostly up around the power plant. Tarpon are being spotted around the power plant as well. Along the beaches in the Jensen area, there are still large mats of seaweed that are making it tough for surfcasting. That said, there are still pompano around. Along the beaches in Jupiter the jack crevalle bite has been great. Anglers are having a blast catching these incredible fighters. Not lightweights either, fish in the 15 to 30-pound range are being caught. 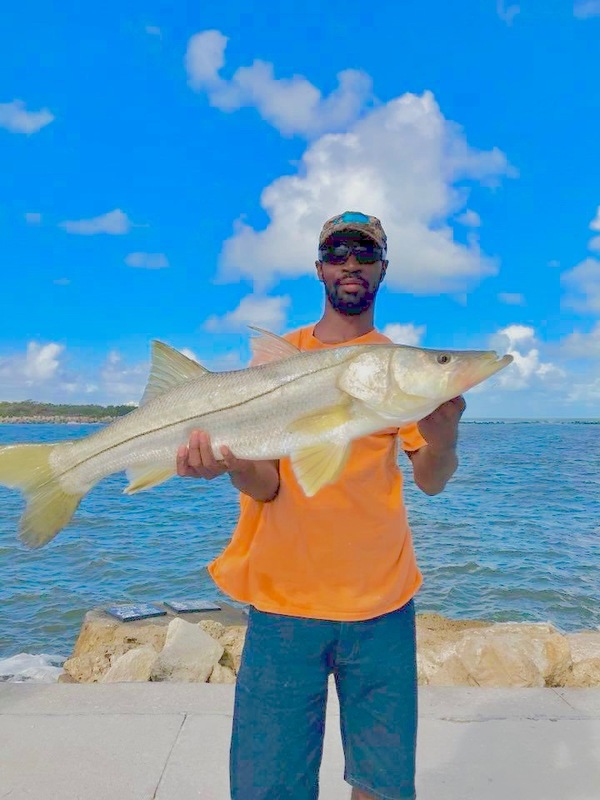 Snook have been moving out of the river and Intracoastal and are being caught at the Jupiter Inlet and along the beaches as well. At the Juno Pier there have been pilchards around and anglers are catching snook and even cobia. Anglers fishing the Lake Worth spillway are reporting catching slot-size snook using Red Tail Hawk lures. The bass bite has been good, but it’s mostly been a morning bite. Anglers fishing the first four hours of the day and using live shiners are having the best luck. In the Monkey Box area of the lake, plastic worms have been working as well. 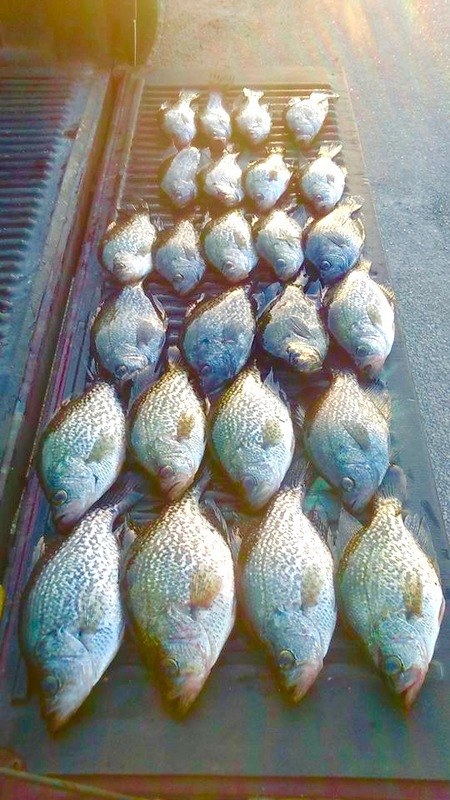 The bluegill bite has continued to pick while, conversely, the crappie bite has continued to slow. I made a quick trip back to Stuart Beach this morning to see if the whiting, croaker, pompano, and blue runners that provided some steady action yesterday were holding in that area. I am pleased to say that the fishing was better today as the croaker and whiting action was non-stop. They bit through the top of the tide and I left them biting as the tide started to fall. Another nice development was the appearance of pods of tarpon - they could be seen rolling and heading South about 100 yards off of the beach. This is definitely the start of some great summer surf action and with the big numbers of croaker that are available, a live lined croaker in the first trough should bring some great snook action. I didn't have a chance to try that today as I was fishing a couple of long rods for pompano. The only pompano I hooked on a long rod was intercepted by a shark after a brief hook-up. I did catch and release a couple of undersized pompano that were taken on the short rod I was fishing for the croaker and whiting. For anyone who has not targeted the whiting and croaker during the summer, the key is pitching the bait, not casting it. All of the bites will happen in the first trough, 10 - 20 yards from the edge of the surf. This is the biggest mistake anglers make during the warm months and you will be amazed at how close to the spot that you are standing that these fish will take a bait. Orange Clam and pink shrimp Fishbites have been the hot baits, along with small pieces of fresh shrimp. Do not put a whole (or even half of a shrimp) on your whiting and croaker rig as your chance of hooking up will be greater using just a small piece. This action should be good up and down Hutchinson Island and the hours around high tide will be the best. Find a beach with a deep first trough and you will continue to catch fish as the tide drops. The near shore trough at Stuart,Tiger Shores, and Santa Lucea have developed again and as I check more beaches I will let you know the best spots to fish. 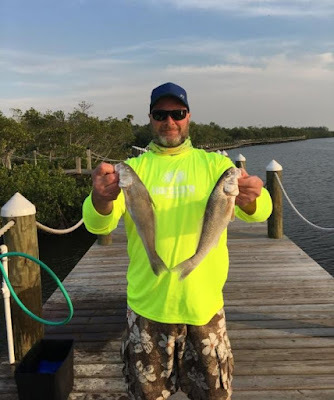 Walton Rocks and Normandy beach accesses have always been great whiting and croaker spots so put them on your list to try.These fish make great table fare and are fun to catch - so get out and bend a rod. My last recommendation is to make sure you have a cooler with ice so these great tasting fish are nice and cold at the end of your trip. The Snook bite has picked up, particularly in low light periods. Dusk and dawn are favorite feeding times for the species. They will take a variety of live baits, shrimp, pinfish, pigfish or mullet work well and in the evenings bucktails seem to work just as well. Other species have been slow but here have been a few Pompano, Sheepshead, Spadefish and Lookdowns. 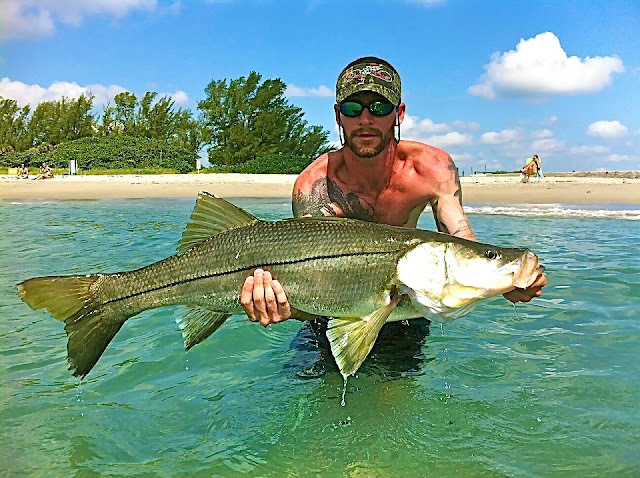 Snook fishing continues to improve inshore as the snook start the move towards the inlets. Bridges close to the inlets will start to produce more fish, as will the inlets themselves. The snook are hungry right now so don't be afraid to fish the big baits. This id the time of year they are going to eat them. Mangrove snapper action continues to improve inshore as the weather warms up. Jacks are still cruising the ICW in decent numbers, as are possibly a few tarpon. Winds are blowing out of the Northeast at 11 mph, gusting to 13 and there is a moderate chop on the water. The bite has been slow. A few nice fish come over the rails of the jetties periodically but overall, its been incredibly slow for this time of year. 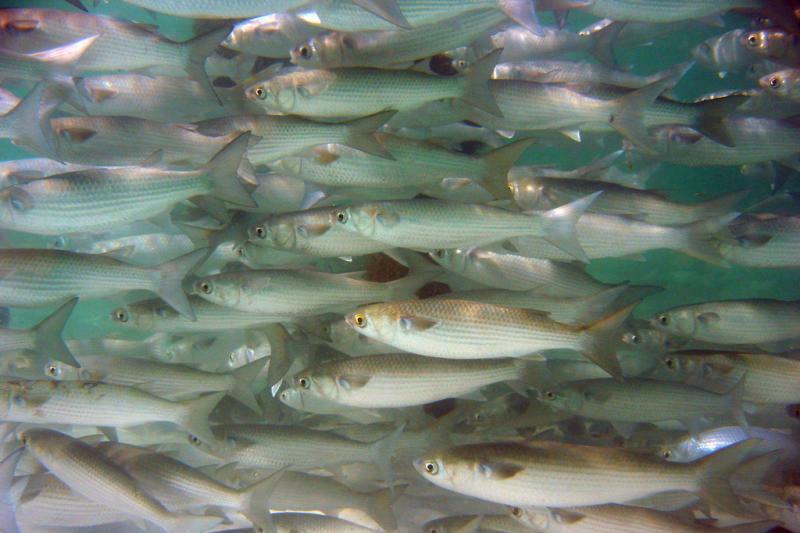 We’re not seeing a lot of bait fish in the water which normally brings in the larger predators. The month of May is the peak time of year for Pompano, Southern Flounder, Snook and Whiting. Conditions have been rough for surf fishing but a few nice Pompano have been landed from both jetties and the catwalks. Snook have been more active in the lower light periods, evenings and before dawn. Finally, the windy months of March and April are almost behind us and we can look forward to the great fishing weather that May has to offer us on the Treasure Coast. Other than the usual windy days, it has been a pretty mild winter and spring has arrived. Look for warmer temperatures and little less blustery days. As the water temperatures climb, the fishing will steadily improve on the river. The water is already in the mid 70’s and that means the fish will be hungry. It will provide fantastic mornings for top water and lazy afternoons to drift the flats. May is one of my favorite months on the water! 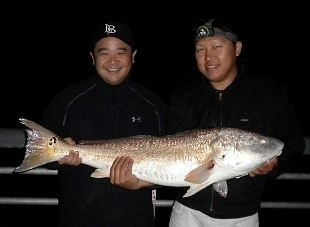 Redfish will be our main target throughout the month of May. The past several years have bought us schools of slot sized redfish along the Indian River. Most of the fish we have caught have been in the 18 to 30 inch range. The mangroves have produced lots of redfish action again this year. They have been sunning on the flats and May gets their blood pumping and turns on the feeding. I always have three lures ready during May…DOA shrimp, CAL jerk baits and top water lures. Gold spoons and the DOA 2 ¾” shrimp will also be great additions to the arsenal when fishing for redfish. As the fish school up, look for them around the edges of the flats. Most of the river here on the Treasure Coast has been holding redfish and you should be able to find some on your favorite flats. I tend to enjoy the east side of the river, but we have found many on the west side as well. Trout will continue to feed on top water at first light and live shrimp on popping corks during the day. As the sun rises, they will head off the shallows to deeper water in the two to four foot range. We have had some nice gator trout of late and should see some still big trout throughout the month of May. I have had great success with CAL jerk baits and Deadly Combos this year in place of live shrimp. If you are using live baits, try big shrimp or pilchards on the flats. Both sides of the river have been productive in early mornings. Winter fishing for trout has been good this year and spring should continue to give you some great action. Bridges will hold the usual sheepshead catch, while snapper will be moving into the river along with flounder. Jacks and ladyfish will be patrolling the areas and creating havoc all over the river. 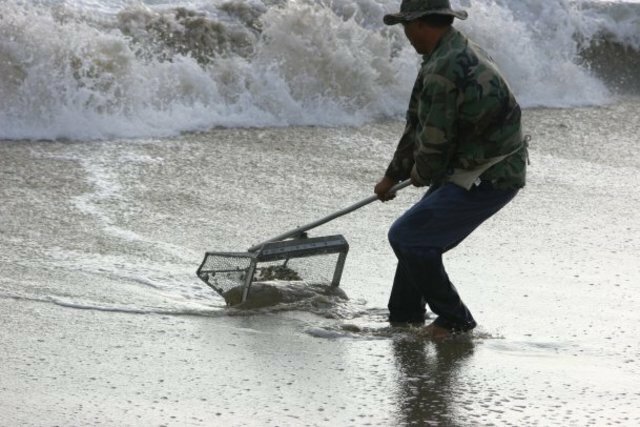 Beaches will produce whiting with still a few catches of Spanish mackerel and bluefish along with the usual whiting. Tarpon will begin their trek into the river and you can start looking for them in the St Lucie River, Big and Little Mud areas and the channels of the river. May is a great month to fish the Treasure Coast….plan on a trip out on the river soon!